Ever noticed at children’s soccer games how as soon as a ball goes out of bounds all the kids are begging for their turn to throw the ball in? 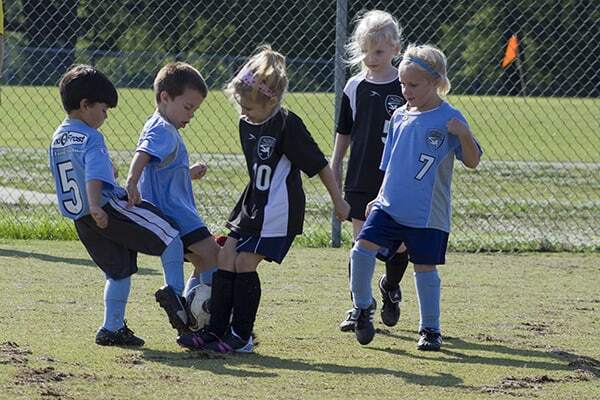 Sometimes I think it’s the favorite job of 85% of the kids playing soccer! Michael’s quarterfinal game fell on an evening after several rainy days. Many of the players spent much of their time slipping across the field. I love how loud and exited the spectators are during the finals–you’d never know we are cheering on a bunch of 5 year olds! Michael played forward for 2 quarters, he is beginning to stay near the ball more, but still struggles to remember to try to take the ball and to stay with the ball once he’s kicked it. Daddy screaming “GET IN THERE!! !” from the sidelines definitely helps him stay on track. I love how he looks to Rob with a ‘thumbs up’ when he knows he’s done his job. He’s yet to get near the goal when playing forward, but he’s at least starting to kick the ball in the correct direction. Tonight his team played in the semifinals, unfortunately they lost the game by one point. Michael played goalie for two quarters, and forward for another quarter. 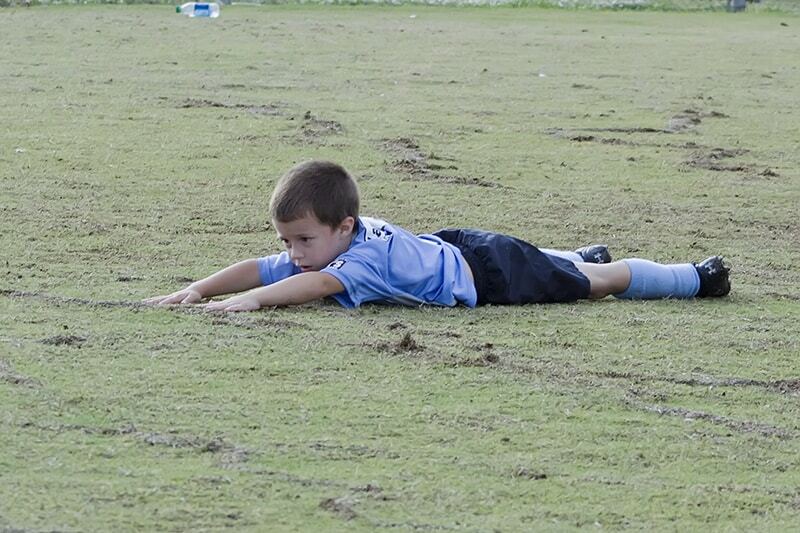 It turns out that goalie just might be Michael’s talent in soccer. He loved it and did not let one ball get past him for a goal. 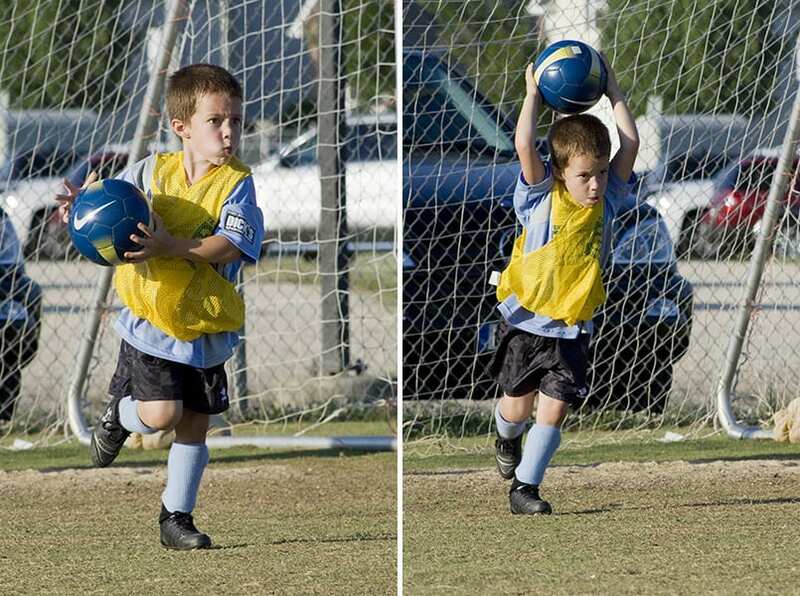 He was so enthusiastic after stopping the goal that he twice ran all the way to midfield before throwing the ball back into play–which turned into a goal kick penalty for the other team, but Michael was just excited to have another opportunity to stop the ball. He left the field so excited, knowing that he had played his best, and ecstatic to have his trophy. 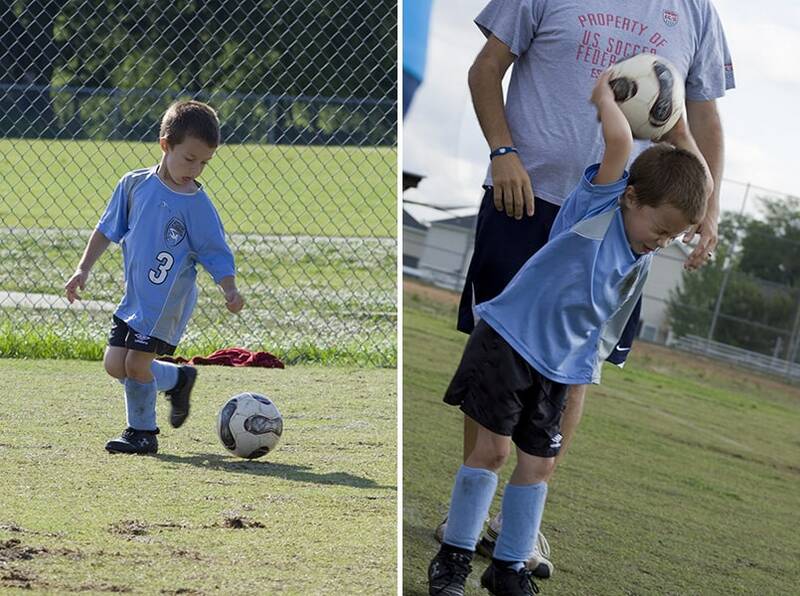 He says he’s going to play soccer in a year, right after a season of flag football. I would love to see him spend some time learning goalie and giving it a go again, I think he could be really good at it!